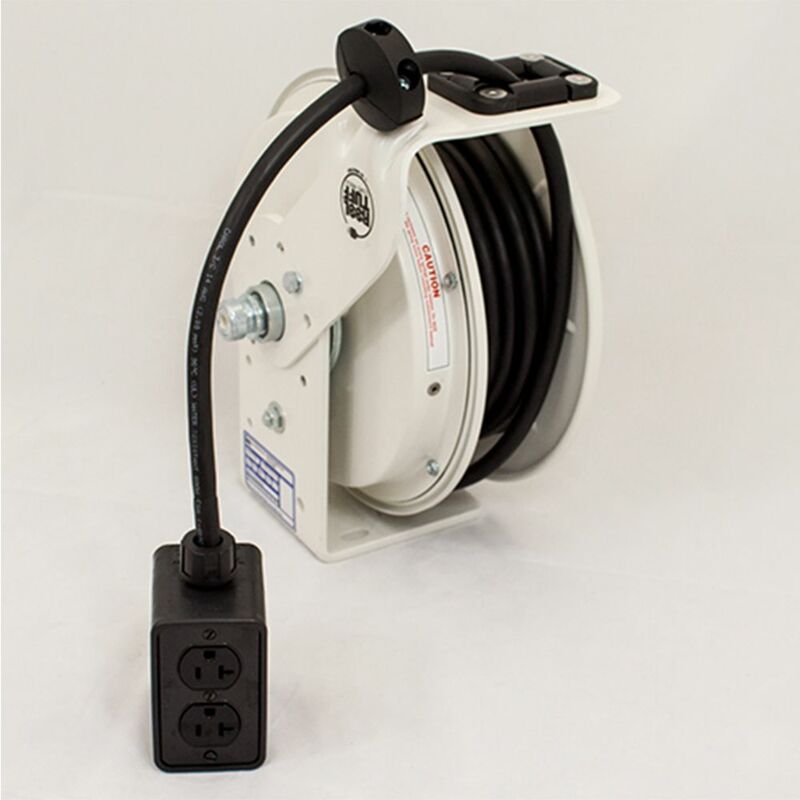 KH Industries RTB cord reels offer versatility of color including, black, white and yellow while delivering an industrial grade 600v cord reel that will provide up to 20 amps of electrical service making them ideal for retail, commercial, or industrial environments. HAMBURG, N.Y. - Feb. 12, 2015 - PRLog -- KH Industries, U.S. manufacturer of industrial grade portable power and lighting products has expanded its RTB cord reel series to include black powder coated industrial cord reels, this is in addition to its popular white cord reels and safety yellow cord reels. KH Industries' RTB cord reels offer versatility of color while delivering an industrial grade 600v cord reel that will provide up to 20 amps of electrical service. 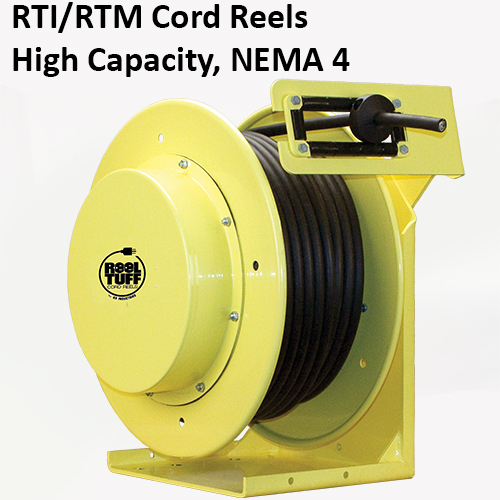 RTB cord reels are NEMA 4 rated for outdoor or indoor use, making them ideal for retail, commercial, or industrial environments. 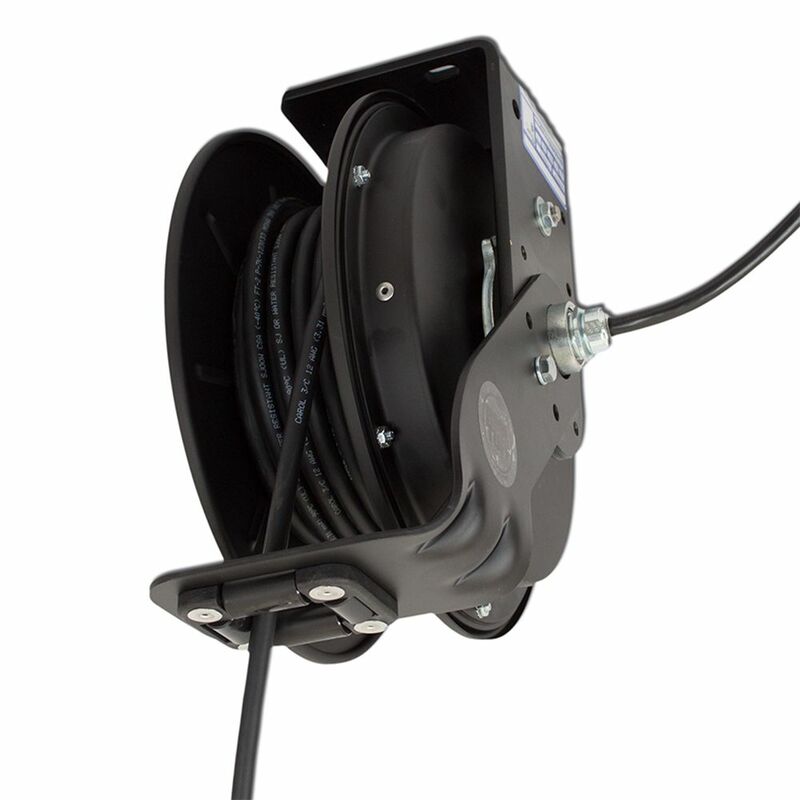 RTB cord reels feature 600 Volt/30-Amp rated slip ring, all steel construction including a mounting base, adjustable cable guide, ball stop and a ratchet that can be engaged (positive lock) or disengaged (constant tension) as needed, and a 6’ feeder cord. Contact KH Industries for more information, including available models and pricing. KH Industries is a state-of-the-art US manufacturer of industrial-grade portable lighting and power products for the utility, fleet, construction, aviation, chemical, petroleum, marine, and agricultural industries. KH Industries is located in Hamburg, New York.